SA/M3-A1's (with new improved design) in full production! A faithful re-creation of the venerable M3-A1, using several USGI parts. 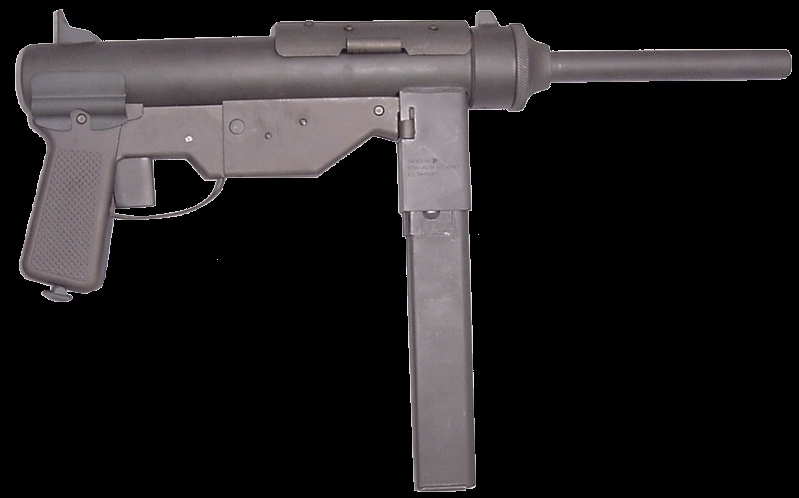 The pistol version includes an 8 inch barrel. 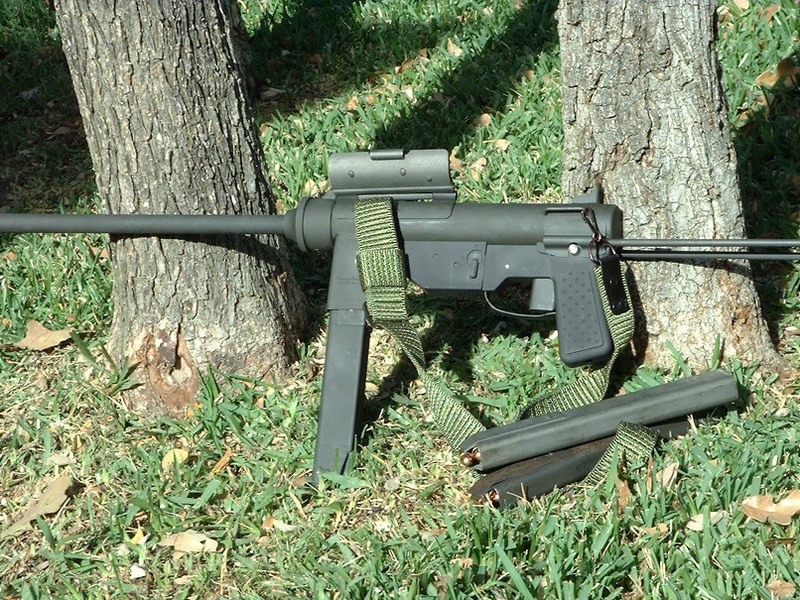 A carbine version with a 16.5 inch barrel and a collapsible stock is also available. SA/M3-A1 pistol- $1,250 / $1,450 (wholesale / MSRP) plus SHI to dealer. SA/M3-A1 carbine- $1,350 / $1,550 (wholesale / MSRP) plus SHI to dealer. Note: No magazine or sling are included with gun. We currently recommend buying magazines from IMA. it is apparently 0.020 inches higher than in earlier runs. It is an easily corrected problem, though. The following two pictures (black and white) are of current production guns. The next two pictures are from the internet of earlier customer guns. These were very early production guns. Valkyrie Arms © 1992 - 2015 --- All Valkyrie Arms, Ltd. firearms are proudly made in the United States of America by proud Americans.